TakaraTomy unveiled the upcoming figures in their Arms Micron line this week, and while we’ve seen most of these, there are a few surprises in the bunch. First, we’ve got Rumble (who is, indeed, red). 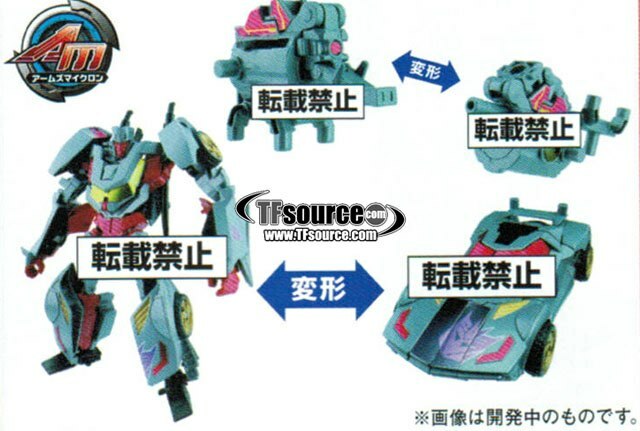 Rumble is a recolor of the Transformers Prime Decepticon Rumble mold, who is called Frenzy in Japan. We’ll see him later. Rumble comes with a minicon who appears to transform into one of his piledrivers in one mode, and some kind of robo octopus in the other. Next up, we’ve got another repaint, but this one is of the Thundertron mold, and is being called Leo Prime. 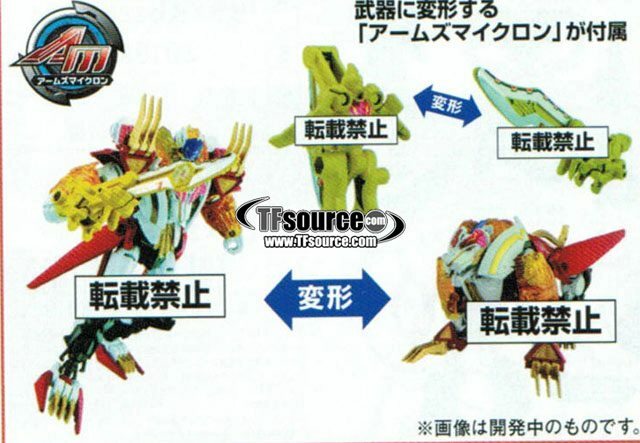 Leo Prime comes with a minicon that transforms into his sword. You can’t have Rumble without Frenzy! 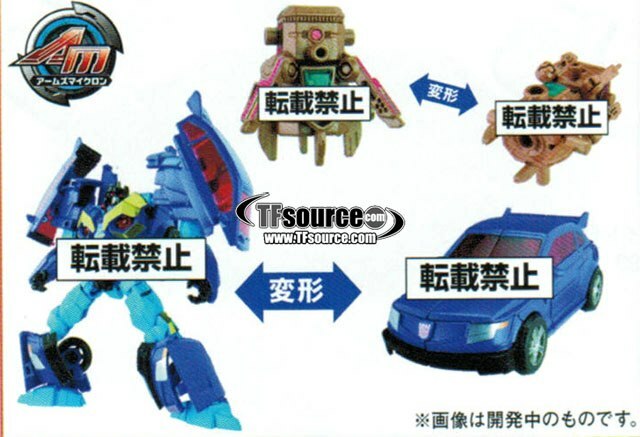 Frenzy features a few changes from his American counterpart, most noticeably his feet, which are blue. He comes with the same minicon that his brother does, so you can buy both and one can have a full set of piledrivers. One of the best repaints is Stunticon Wildrider, who is a redeco of Wheeljack, but not with the Dead End remolded head. Wildrider comes with a pretty faithful representation of his G1 head, and a warthog minicon who transformers into some form of gatling gun. 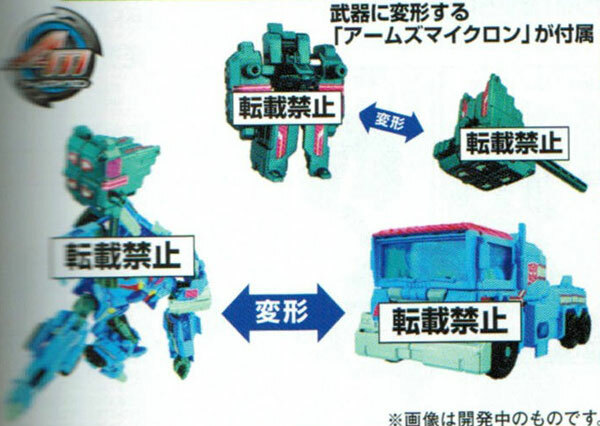 Also coming is Ultra Magnus, who is a voyager sized figure with a minicon that transforms into his iconic hammer. The figure doesn’t seem to be changed much otherwise, though the picture we’ve been provided doesn’t show much. 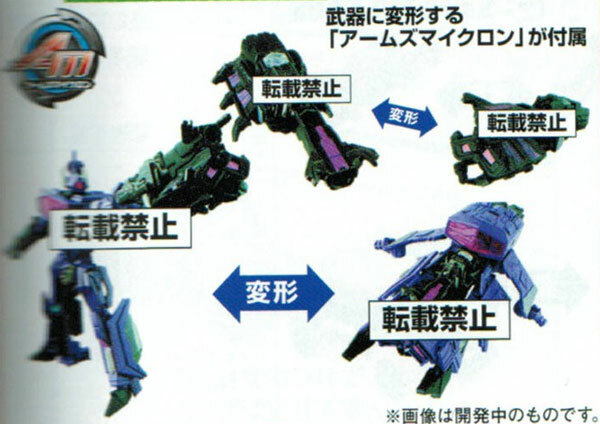 The Fall of Cybertron Shockwave mold will pull double duty by standing in for Arms Micron Shockwave, coming with a minicon that turns into his gun arm. Reports are saying that it will have the hose attachment as well, though that can’t be determined by the picture. 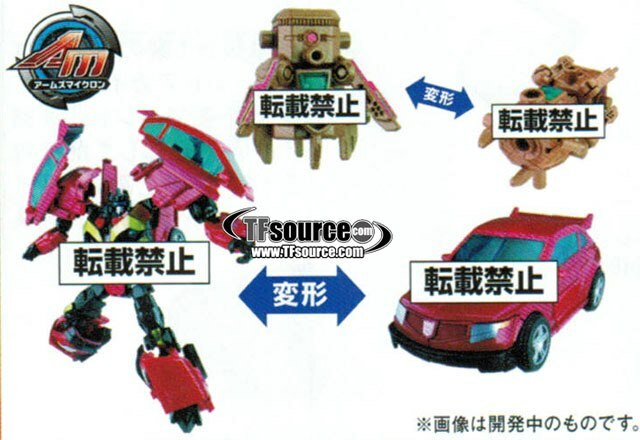 Last but not least, TakaraTomy will release a gift pack of 5 Autobot microns and 5 Decepticon microns. The Autobot microns combine into a weapon and the Decepticon microns combine into some form of flying jet. All of these releases will be available in the next few months. Head over to our friends at TFsource.com to preorder, HT to them for providing the pictures! It’s officially official! Apple sends out press invites for “iPad Mini” event!